Moms certainly have to be master jugglers. It’s one thing to be responsible for a marriage and a home; it’s quite another to raise a family, tend to a marriage and carry out the responsibilities of our work. Every age and stage of family life challenges, changes and effects the way we live our days. A baby certainly throws schedules out of order until sleeping and eating routines take on patterns. Work outside the home and school schedules greatly impact how the day evolves. No matter what your scenario, you need to have a schedule that allows you to fulfill your responsibilities and have balance. Everyone accomplishes this differently. Each schedule is dynamic and adjusts with ages and stages. Realize however that this task-oriented schedule must permit, encourage and flex with moments to engage, form, and nurture each family member. It’s not just a matter of accomplishing prescribed tasks; it’s very much a matter of being present to each other. Wise families share many moments where love is shown, shared and secured in each other. These moments need to happen frequently, often spontaneously, and even be scheduled, because life is busy and love is demanding. 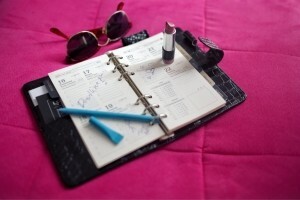 Here are a variety of schedules submitted by several moms. The possibilities are endless. Each mom needs to find her own balance for what she wishes to achieve. Certainly raising children has a stress element. Wise moms harness their schedules to afford family time, work time, marriage time and me time. It’s not easy, but it’s necessary if we want to stay happily married and raise kids with character. For sure there are sacrifices and the oodles of time for self are not there. However, it’s the love we put into the moment and the intentions for which we do it that count most. Much personal growth occurs and we need to constantly reflect, “What can I change to make things better? Run more smoothly? How can I get others to collaborate in this? ” Our time is so precious. Our children grow so quickly. Be willing to make the sacrifices to give our loved ones our best selves, and not the leftovers. Be deliberate in the use of your time. Enjoy the following submissions and feel free to add yours to the growing list. 5 am – 6 am ——– baby wakes up, I have a large coffee, make lunches for the school day ahead, empty dishwasher and reload from previous nights snacks. Keep baby quiet so everyone else can sleep longer! 6 am – 7 am ——– other kids start waking up, wake up husband help him get out the door! 7 am – 8 am ——— get all kids dressed, cleaned up, make sure all backpacks are packed with lunches, homework, agendas and other important papers. 8:30 am – 9:30 am ——- clean up after breakfast, get the other children who don’t go to school dressed and cleaned up for the day. —– put laundry in, make beds, take out meat for dinner, turn on crockpot (mostly used in winter) tidy up bedrooms, kitchen etc. 9:30 – 11:30 am ———– depending on the weather go for long walk, visit good friend/neighbour, pick up the mail, go to park or our favourite play in the backyard…..bad weather play games, toys, puzzles etc. or run errands in town. noon – 1:00 pm ——– tidy up, prepare lunch for high school kids who come home for lunch every day, spend half hour talking with them about their morning. 3:00 pm – 4:00 pm ——— tidy house, finishing touches on dinner, empty dishwasher, put laundry away, kids play outside or in play room. 5:30 pm—— kids all downstairs to watch a show while husband and I talk about our days and clean up the kitchen. evening —- reading homework, play cards, board games, in spring and summer play outside till dusk, baths, teeth etc. 9:30 pm – 10:30 pm—– husband and wife time yay ! This of course does not include any or all of the constant taxi services I provide to all sporting events, appointments, meetings, friend’s houses etc. etc. ! AND this schedule changes often due to sick or grumpy children, tired mother, or summer vacation where we spend either at golf tournaments of our boys, or the beach (usually its the laundry that suffers) ! Mom B’s schedule with 2 boys, ages 4 and 2. I homeschool the oldest. My husband works from home 2 days/week. 8-9: Husband bathes kids, story time, prayers, then bed for kids. I do laundry or go to the gym, grocery shop, or do volunteer work. This is a very flexible schedule. During the spring and summer months we try to maximize our time outside. Staying at home has been one of the best decisions that my husband and I have made for our family. I decided to stay home after the birth of my first, and I won’t deny that I was anxious in the beginning, mainly because I was giving up my career and income. However I look back on my short years at home and already see the fruits of this decision. Life is very busy and hectic as it is, and I feel that me staying at home provides my children with the calm and stability that they need in the early years. Even if I’m not interacting with them every second of the day, the boys know that mom is present and available. My husband is also able to focus better on his role as a provider knowing that I’m holding down the fort at home. And I’m slowly getting better at managing a household – this is definitely a learning process! We feel that our family life is strengthened, and we wouldn’t have it any other way. Mom C’s Typical Schedule – a family of six children ages 5 – 14. Mom D’s schedule with four children, aged 2-10. I usually register to one or two parent-child activity during the week with little ones (NO MORE! I find little children need some quiet time to stay home too. Also, I find that the lesser packed schedule gives me flexibility to go to the park, visit friends, Grandparent’s, do errands, do an activity at the community centre for mommies (such as quilting), on those days without planned and booked activities). I also like to do my house cleaning during one of the week days while older children are at school. This gives us more free time during the weekend. Our weekend time is “sacred”. There’s always so much to do: Mass, mow the lawn, fix a pipe, paint a room, gardening, visiting Grandparent’s and relatives, or a family picnic… that I try to get my house cleaning and my errands done during the week to allow us as much free time or family time as possible during the weekend. When my older children were younger (3 or 4 years), I use to swap kids with a friend one morning a week. She would take my son to her house to play with her son and I, her daughter to my house to play with mine. Sometimes she took both or I took both. Because of the new dynamic in the house, it gave me an opportune time to do my house cleaning. Dinner (any time between 5PM-6PM), baths, bedtime stories, prayers and all little ones in bed by 7PM (When dinner is running late, or we wait for Daddy to come home and have dinner with him, I’ll bathe the little ones before dinner). Older children help make lunches for the next school day, and read by themselves before bed. 3:00 teens arrive home from highschool – snack and talk with mom (unless at school extra-curriculars, ie. Band, sports, drama etc. from which they walk home – half hour walk) Teens often sleep right after. any remaining homework is completed. Downtime to read, play board games, chat, play pingpong. (Monday nights – sports night, Mom and dad’s date night Wednesday evenings – very short computer games, Fridays family movie night, Saturday evenings longer computer time or watching hockey on TV, Sunday nights – euchre night). We all do housechores on Saturdays as well as any home maintenance. Sunday is considered a day for worship, rest and family fun. Kids stagger going to bed between 7:30 and 10 p.m. since they share rooms. Have a fan in the hallway for white noise. Kids in grades 5 and higher have reading lights and can read in bed for a while. School age children to bed by 8:30, teens by 10:00. Every evening after 8:30 I set the breakfast table, take out meat for the following day’s supper, do a basic tidy of the main floor and put a load of laundry in. (All kids in highschool have to do their own laundry which will decreases mine). From 9:30-10:30 I have time for my husband, chat with the teens, read a book or catch up on emails. 11:45- lunch prep. Each day a child is assigned to help prep lunch. 3:30-3:45: mom has 15 minutes quiet prayer time. Kids leave mom alone unless they are bleeding. 7:45 – Dad, mom and the two youngest leave for Mass and pray along the way. 19:00 – Take 15 minutes of individual time with kids to read story and reflect on the day (two with dad and two with mom – alternating every day): starting with our fourth and third, and finishing with our second and first child. 20:00 – Children go to bed. Time as a couple begins. This schedule does vary time to time, but it is the typical one that we aim for. On Monday, Wednesday and Friday, Dad gives a bath 18:30-19:00 to the 4 oldest, while discussing the day so that we can still have them all in bed by 20:00. The baby schedule is accommodated within the schedule (but it at this stage varies too much to have routines). Things therefore may shift a bit, but we still strive to stick to the above schedule. You should note that we enjoy the fact that mom is WORKING at home. Because of that, we are happy parents of 5 children, who can frequently spend about an hour and half of ‘couple quality time’ each evening before going to bed at 22h00. Mom J’s Schedule: Large family with teenagers, children, and toddlers. 6:30 pm – Clear dining table; Set dining table for dinner; Kids take showers; Tidy up around the living room; Sort clothes for laundry of the day. 7:00 pm – Put a load of laundry in washing machine. 7:50 pm – After meal thanksgiving prayer. Clear dining table. Load dishwasher and wash anything that can’t be loaded. Make packed lunch for next day. 8:10 pm – Continue homework time for older kids if necessary; Younger kids dress for bed and brush their teeth; Some time for younger kids with dad and/or mom. 8:50 pm – Prepare to go to bed for younger kids. 9:50 pm – Computers are shut down for the night if still on. Older kids just getting to or getting ready for bed. I was originally scared of how I would get my 3 and 4 year olds to morning pre-school (one goes 5 days a week, the other goes 2 days a week). Routine has been the answer, as well as discipline. Discipline not only with the boys but with myself. It has taken me four years to get up at 6:30am, so don’t be scared and overwhelmed when you read my schedule. I use to get up at 7am but found that I was a better and more patient mom when I my day started in silence, prayer and coffee. Make breakfast for boys, school snack, coffee and take out frozen meat. Set out milk cups for boys (I do this so that if they get downstairs before me, they can pour their own milk and get started without me. They also have no excuse if they are fooling around). Make 2 year old wait in bed (if he wakes up) while I get dressed. Get him out of bed, put him on the toilet and brush my teeth (I find brushing my teeth a fair time frame for him to sit on the toilet). Dress the 2 year old and remind the other two that if they continue to fool around they won’t have time to eat breakfast (we’ve only had two days so far that they have gone without breakfast. In that case I give them a granola bar in the van). All boys need to be eating breakfast by this time in order for us to be on time. My oldest boy gets nervous if I tell him we are late. I find the more I nag them the more frustrated I get and more upset they get. They know what is expected…and who cares if they are late for pre-school? I say this knowing I’ve almost been in tears with my hair ripped out. Time to put away breakfast (this is usual, they will put what they didn’t eat in the fridge and eat it later, usually it is also their second or third bowl). Get on coats and boots, send them outside to the van (fortunately I have a remote to open the doors and I can see them, the 2 year old waits for me inside). Drop boys off at school. Run errands or go home and clean. Pick boys up from school. We are a block away from the church, so we park out front (because I know if I tried to actually go into the church, I would have given up a while ago) and say a few prayers. Go home and make lunch. Eat Lunch. I usually put together a cold lunch for the boys (sliced veggies, cheese, crackers, a pickle etc.). Then I am able to make something for myself and clean up after breakfast and lunch. Put 2 year old down for a nap. Older ones play. Older ones go for a quiet time in separate rooms. Have a nap and make phone calls/bills payments/paperwork. Get boys up (if they are sleeping, I’ll leave them until around 4pm. The 4 year old rarely sleeps). Have a snack and play. I start making dinner at this time. Depending on what I’m making and my patience level, they help me make dinner. I also start this early due to the many distractions along the way. If they are running around too much, I make them go outside or upstairs. I also get some house cleaning done, sit and read my book or talk on the phone if dinner is easy. Eat dinner. If my husband comes home later then 5:30pm, they eat without him. I will try to wait and eat with him. If he is working overnight, the boys get to watch a movie. PJ’s must be on first and if they fool around the movie ends at 7:30pm. Husband and I clean up. We have trained the boys to clear their own dishes. Husband plays “the wrestling game” with the boys. I catch up on household duties or join in. With the pregnancy this means I sit and take in the view. Start bedtime routine. Brush teeth, go pee, get PJ’s on, pick out books, read (if listening is bad, books get taken away) and say prayers. Both my husband and I put them to bed. The 2 year old is in a separate room, so the more exhausted one gets to read to him and put him to bed (it’s usually me). This is a typical weekday. On Saturdays, if we are at home we try to sleep in and spend time around the house cleaning, organizing and playing together. On Sunday’s we go to church, eat lunch, have nap time, play, eat dinner, play and go to bed. These weekends happen rarely but are the most restful. MOM L’s Schedule With one 2 1/2 year old, one 1 year old, and one baby soon to be born, I believe strongly in both routines and flexibility. I used to live by scheduled events in a planner, but trying to stick to a hard and fast time schedule didn’t work well with babies. I have daily, weekly, and task oriented routines, but I always try to keep in mind that the routine serves the family and not the other way around. Interruptions are to be expected, and often provide some of the nicest “moments” of the day with my kids. I introduced routines a couple of months before my oldest turned one and I returned to work for a few months. In order to help the transition to the daycare I looked up their daily routine and tried to mimic it at home. What a revelation it was to see how well my baby responded to a regular routine! My current routine for the children’s day is modified from that original schedule that I downloaded from the daycare website (most daycares post their routines). 6:30 Wake up, get dressed and do my hair. Get breakfast started. Spend a few minutes having a coffee with my husband; he eats his breakfast. 7:00 My husband and I usually bring the kids downstairs for breakfast together. 7:30 I have breakfast with the kids, my husband leaves for work. 8:00 Breakfast dishes, daily baking (we eat gluten free, so I bake bread every day, and muffins and cookies twice/week). I off-set major baking days with daily mass days. Daily mass is at 9am. 9:00 My one year old naps for an hour. My two year old “helps” me do chores around the house, or if we are going to mass my one year old’s nap just gets pushed back 45 minutes. 10:30-12 Finish up morning chores, and then outdoor time withe kids. 12:00 Lunch. The kids play fairly independently then until I’m done the lunch dishes and some dinner prep. 1:00-3 Nap time/quiet time. My one year old naps from 1-3pm. I often let my two year old spend from 1-2pm hanging around me as I finish up dinner or do some emails, and then she has quiet time from 2-3pm. At 2pm I take time for afternoon prayer for half an hour, and then I usually nap for half an hour. 3:30-5:30 This is play time, often outdoor time in the backyard. I go in and out as needed and finish up dinner and set the table. My husband gets home from work. 6:00-7 Clean up from dinner/Family walk time. We often go to the park. My husband and I get a chance to chat a little and the kids love the park! 9:00-10 I spend time with my husband, or finish any urgent emails or make phone calls.